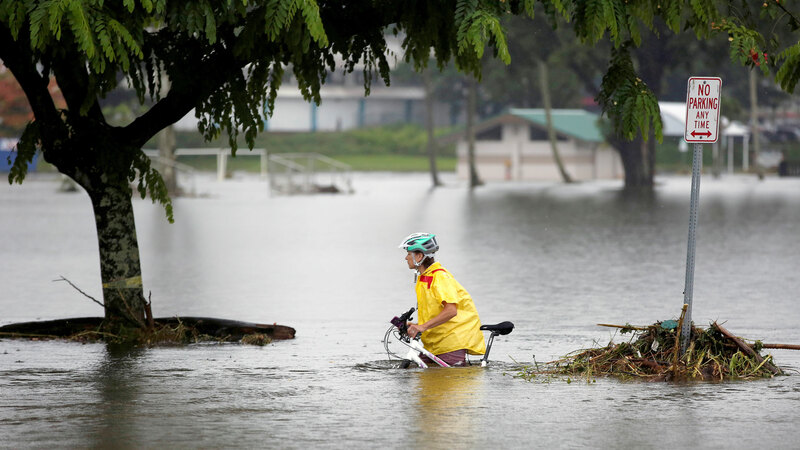 A woman pushes her bicycle through flooding caused by Hurricane Lane in Hilo, Hawaii, on Aug. 25, 2018. Hawaii received some 50-plus inches of rain last month, the third highest storm total rainfall from a tropical cyclone since 1950, according to the National Weather Service. As the climate warms, major weather events like the historical rains accompanying Hurricane Lane, could become more frequent and more intense.